I don’t need to tell you that Max Scherzer is an excellent MLB starting pitcher or that he’s having his best season to date. For one, I’ve already done so on a couple of occasions (Two Game Breakdowns: here and here). Also, you have eyes. You’ve watched him pitch and you’ve checked out his numbers. But let me hit on some relevant points. Max Scherzer has the lowest walk rate of his career. He has the lowest homerun rate of his career. He has the lowest ERA, FIP, and xFIP of his career. He’s on pace for his highest WAR and might get there by August. He’s added a curveball and is using it along side his changeup to give hitters more frequent offspeed looks. He’s getting more groundballs than last year at the expense of line drives. I’ve already laid out in the links above how well he’s avoiding the top of the strike zone. Heck, he’s throwing more strikes period. The worst things you can say about Scherzer this year is that his strikeout rate was about .25 K/9 higher last year and that his BABIP is a bit lower than we should probably expect it. That’s it. He’s due for a little regression to the mean, but almost all of his numbers look stable. This is the best we’ve seen from Scherzer. But you knew that. You knew he’s 6th among pitchers in WAR, 4th in FIP, 5th in xFIP, and 3rd in K/9. You’ve seen it all. He’s finally putting it all together. That’s established. So the next question is what’s different? Well I already mentioned the new pitch and the additional use of offspeed pitches. He’s throwing more strikes, but he’s not really inducing more swings and misses or more chases outside the zone. 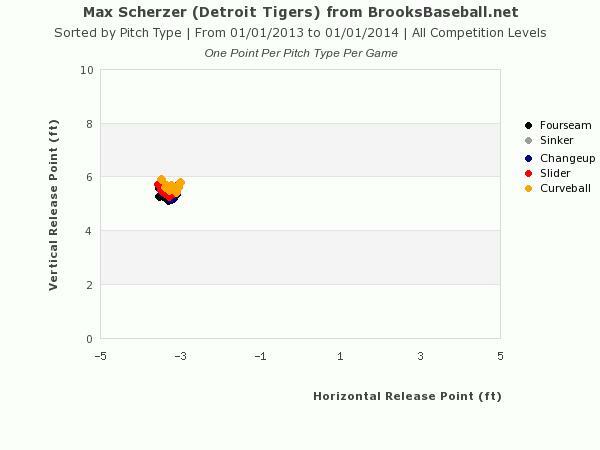 I’ve routinely talked about Scherzer’s need to rein in his wild delivery if he wanted to really have a great season. He’s doing that. So let’s consider the facts. 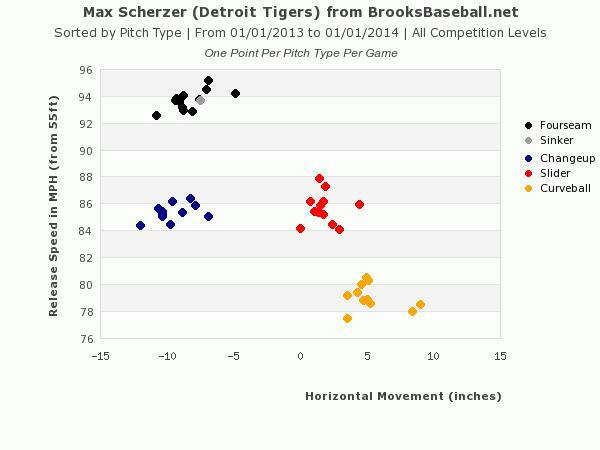 Max Scherzer has always had great stuff and his inconsistency held him back. Over the last the last couple seasons, he’s worked on it and has found a way to repeat his delivery such that the results are lining up with the scouting report. He’s having his best season yet and it looks like he’s finally climbed his Everest and figured out his delivery. As he looks to make start #13 tonight, one has to ask if Max Scherzer is now officially an ace. I consider the top 15 or so starters to be aces and Scherzer is certainly one of those this year by every available measure and was just on the edge of that last season. But Scherzer also has the requisite dominant stuff that aces need and is capable of twirling a lights-out-10+K performance on almost any occasion. Scherzer is finally getting results in line with his skills and he’s done so by going to his offspeed stuff more often and doing whatever he needed to do to get his mechanics in order so that he could command his brilliant stuff well. 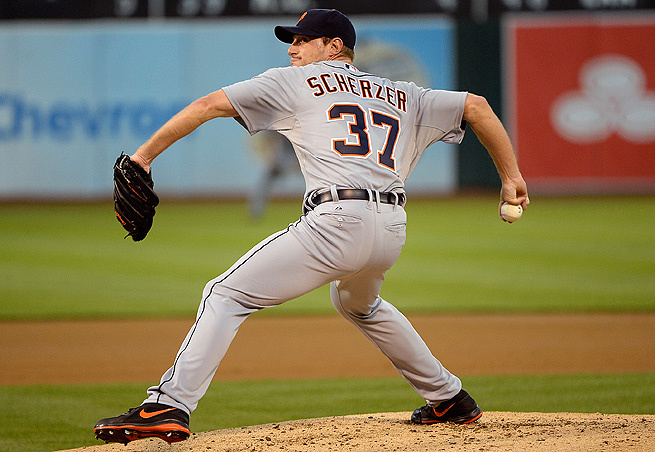 Max Scherzer has spent the last three years in Justin Verlander’s shadow. At times in Anibal Sanchez’s and Doug Fister’s shadow. 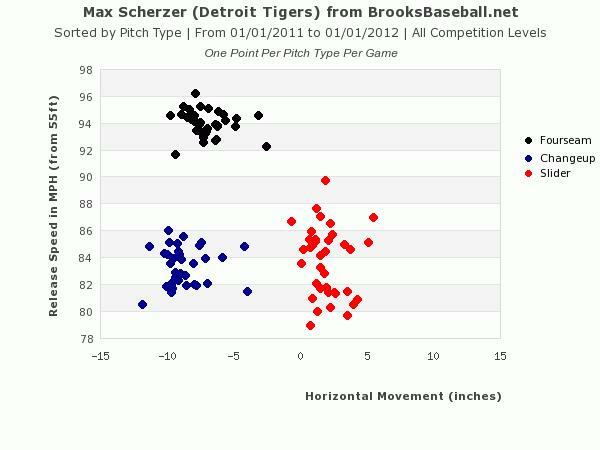 But Max Scherzer is no man’s understudy. 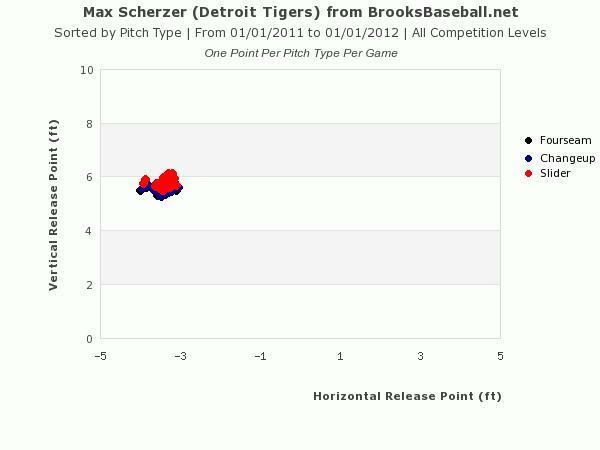 Max Scherzer is an ace all on his own. He’s making a case to start the All-Star Game in July and is very much in the discussion for AL Cy Young. If you liked this, check out New English D on Porcello’s Breakout Campaign, Anibal Sanchez’s Cy Young Leap, The Tigers Approach to Pitching, and Why They Have the Best Rotation Ever.